S.Pellegrino's unique mineral composition and small to medium-sized bubbles make it the perfect accompainment to fine food and wine. 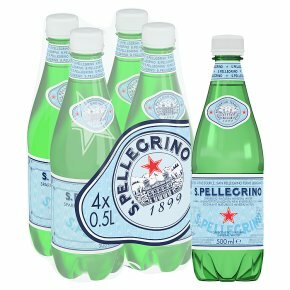 S.Pellegrino's sophistication and elegance is supported by its iconic image. A 4x50cl bottle, ideal for taking with you for the day, for adding some sparkle to lunchtime and keeping the fridge stocked up.